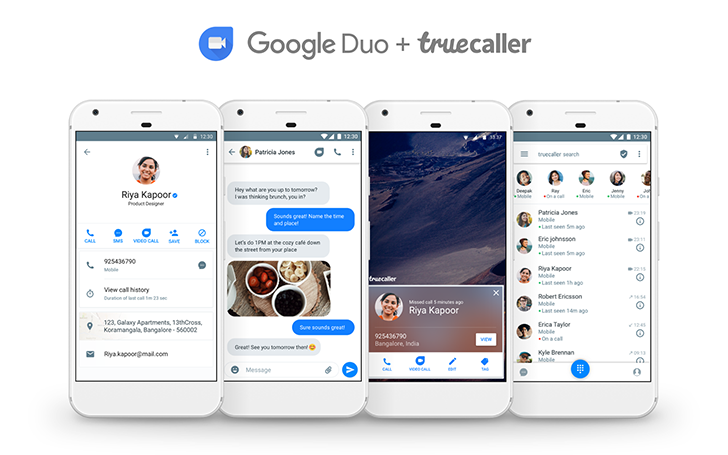 In March, Truecaller made a bunch of announcements for version 8 of the app, including a planned integration with Google Duo. At the time, the feature was promised "in the coming months" and it looks like those months have elapsed as the latest Truecaller changelog says the option is now live. Both users need to have the Google Duo app installed, so this isn't some magical built-in Duo tech but it's more like a quick shortcut to launch a video call without leaving the Truecaller app. Video calls can be started from your contact's details page, the chat screen (if you're talking to them through Truecaller), and the missed call notification. The video calls will also integrate with Truecaller's call log. The service appears to be opt-in so you'll be able to enable or disable Duo's integration as you wish. Introducing Google Duo Video Calling! Now make video calls from Truecaller using Google Duo. Video call all your friends with just one tap! The newest version of TrueCaller should be rolling out now to users on the Play Store, but it could be a while before it reaches everyone. You can give it a go for free, but I warn you: the app's background battery drain and constant barrage of notifications are bordering on obnoxious.